What Are My Options If I’m Involved in an Accident and the Other Driver Isn’t Insured? 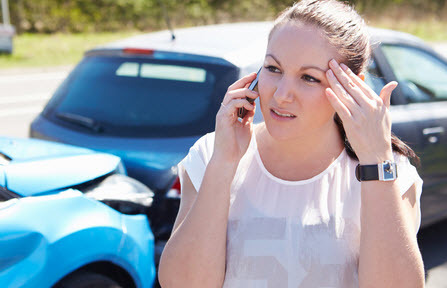 If you are involved in a car accident, one of the first things you think of is whether the other driver has insurance to cover your damages if they were at fault. Although the state of Florida requires all drivers to obtain a minimum amount of insurance coverage, many are still underinsured, have no bodily injury coverage or even have no coverage at all. Statistics from the Florida Highway Safety and Motor Vehicles show that over half a million drivers in Florida are suspended annually for driving without the proper insurance coverage. All drivers in Florida are required to have personal injury protection insurance, or PIP. This insurance protects the individuals that are injured in a crash in the event of an accident including the driver, other passengers in the car, and anyone that might have been outside the vehicle such as a bicyclist or pedestrian. The minimum required amount of PIP insurance coverage is $2,500 and the maximum is $10,000 for disability and medical benefits, and $5,000 in the event of a death. The benefits are paid to the victims regardless of which party is at fault. If you are involved in an accident, your insurance will pay for 80 percent of your medical bills and up to 60 percent of any lost wages, up to the amount of PIP insurance coverage you have. Florida laws do not require vehicle drivers to have bodily injury coverage or uninsured motorist coverage. This type of coverage protects a motorist that is involved in an accident up to the maximum amount of coverage their policy allows. If you are involved in an accident where the other motorist is uninsured, you can still sue them personally or file an uninsured motorist claim with your own insurance company. Even without insurance, there may be other ways to get the recovery for your injuries. An experienced personal injury attorney can help you determine the best source for recovery. The first step in recovering damages is to determine the driver’s liability. To prove the driver’s liability, you must prove that they were negligent. To prove negligence, you must prove that they had a duty of care to drive reasonably safe, that they breached that duty of care, that the breach resulted in your injuries, and that your injuries resulted in damages. Once the above factors are shown, you will be able to seek compensation from your own insurance if you have uninsured motorist coverage. If not, you may still be able to collect damages from the other driver’s insurance policy or other assets. Once you determine who is at fault and that they are liable, you may be able to recover a variety of damages. These damages include pain and suffering, your present and future medical bills related to your injuries, lost wages as well as future lost wages, and property damage. A wrongful death lawsuit may also be an option if you lost a loved one in a car accident. The Florida attorneys at Leifer Law Firm have decades of experience helping clients get the compensation after they’ve been involved in a car accident, including accidents where the driver was underinsured or uninsured. Contact us to schedule a free and confidential consultation at one of our convenient Florida locations.